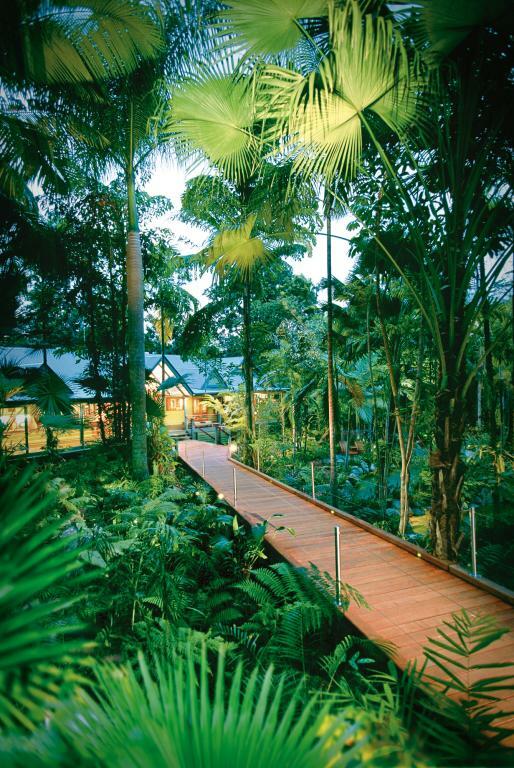 Silky Oaks Lodge offers boutique style accommodation on the Mossman River in beautiful North Queensland. 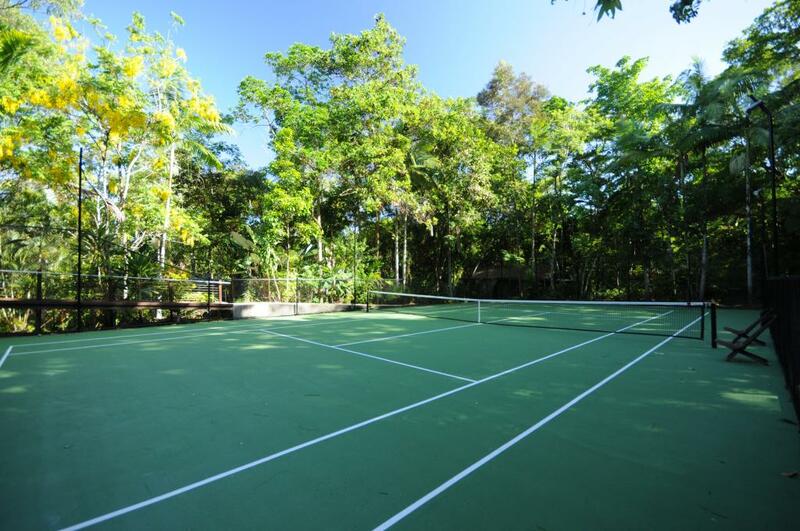 This Daintree accommodation features a number of air conditioned room types to choose from to suite a range of budgets, all rooms are spacious, comfortable and offer luxury amenities. 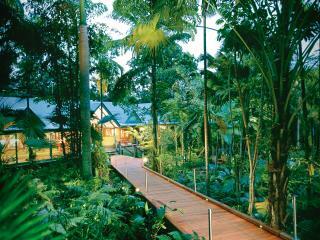 The rooms overlook the stunning World Heritage listed Daintree Rainforest. Enjoy time spent relaxing on the balcony of your room and just taking in the tranquil views of the rainforest of Mossman River. This luxury boutique hotel is set just 20 minute's drive from Port Douglas yet you will feel as though you are miles away from the modern world. Enjoy a range of complimentary activities including rainforest walks, canoeing, swimming & snorkelling in the river, tennis and yoga classes. There are a number of onsite facilities at Silky Oaks Lodge including a swimming pool, parking, WiFi internet, boutique shop, restaurant, spa, bar, tennis court, gym plus much more. If you are looking for a rainforest retreat or just want to get away from a busy lifestyle for a few days then Silky Oaks Lodge is a fantastic choice. Children are not recommended or catered for at Silky Oaks. Swimming pool is not fenced and eating area has marine wire fencing. 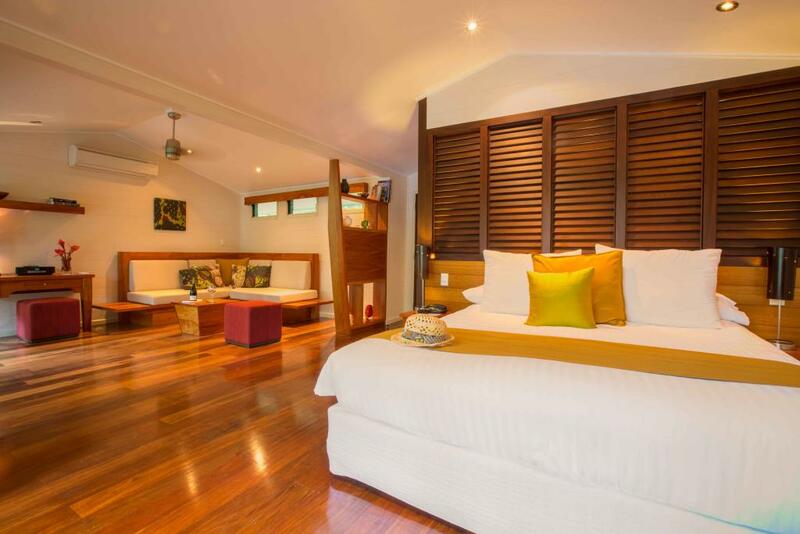 All 36 rooms at Silky Oaks Lodge offer a peaceful and relaxing setting, the rooms are well equipped with modern amenities however guests can still enjoy the tranquil rainforest in the background. 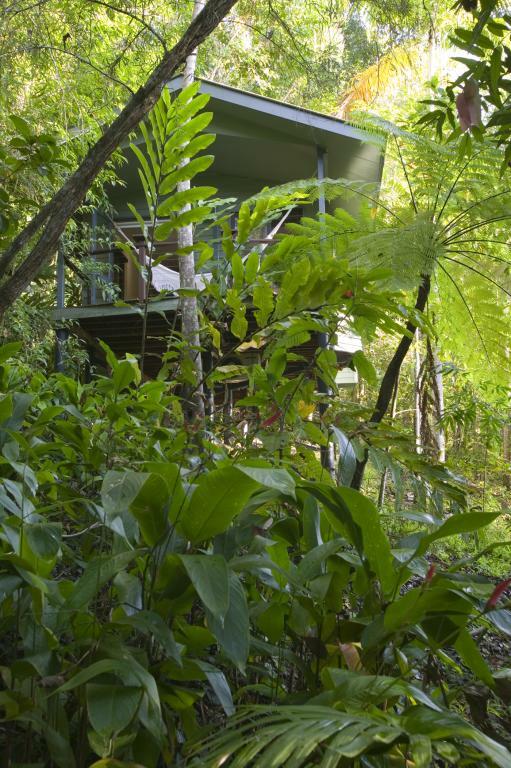 Daintree Treehouse: Features a private balcony that overlooks the Daintree National Park Rainforest. 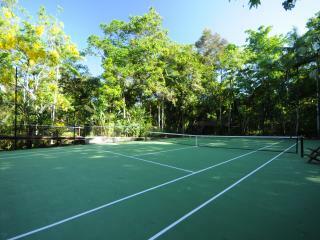 Located 250 metres from the main lodge. Room size is 44m². Bedding is 1 King Bed OR 2 Single Beds. Maximum room capacity is 2 Adults & Children. Garden Treehouse: Features floor to ceiling widows to take advantage of the garden views that opens up onto a private balcony with hammock. Room size is 47m². Bedding is 1 King Bed OR 2 Single Beds. Maximum room capacity is 3 Adults & Children. Deluxe Treehouse: Floor to ceiling glass doors open onto a wide verandah where a hammock is perfectly positioned to make the most of picturesque garden views. Room size is 49m². Bedding is 1 King Bed OR 2 Single Beds. Maximum room capacity is 3 Adults & Children. 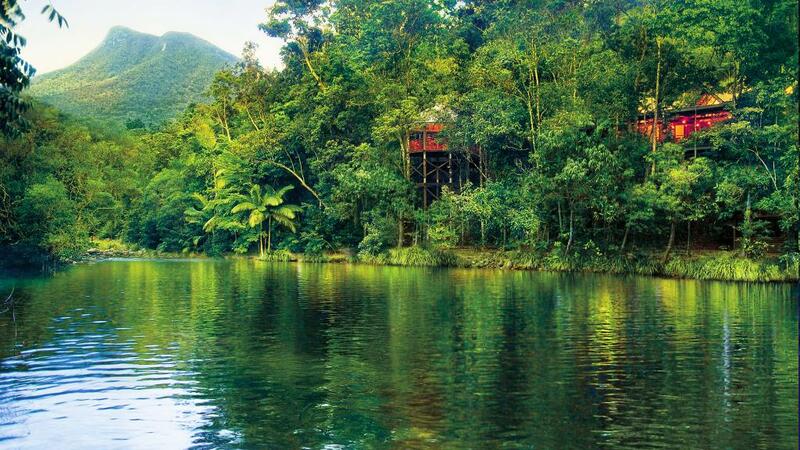 River Treehouse: Features an oversized spa bath complete with unspoilt rainforest views. Room size is 47m². Bedding is 1 King Bed OR 2 Single Beds. Maximum room capacity is 3 Adults & Children. 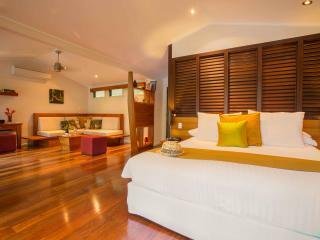 Lodge Suite: Features an open plan design with an oversized balcony that looks out into the rainforest. Relax on the four poster day bed as you read a book and listen to the wildlife. Room size is 88m². Bedding is 1 King Bed + 2 Single Beds. Maximum room capacity is 4 Adults & Children. 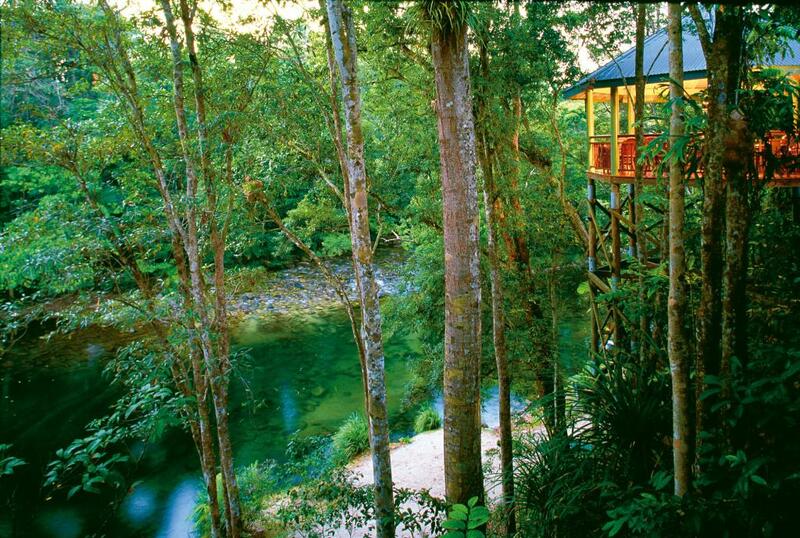 Billabong Suite: Spacious balconies with hammock and day beds overlook the Mossman River and the rainforest shower and double spa bath complete the luxury. Room size is 75m². Bedding is 1 King Bed. Maximum room capacity is 3 Adults & Children. Treehouse Restaurant & Bar: Open air restaurant serving an innovative menu featuring fresh local produce and accompanied by fine wines and spectacular rainforest and river views. Special dietary requirements and picnic hampers are available by advance arrangement. 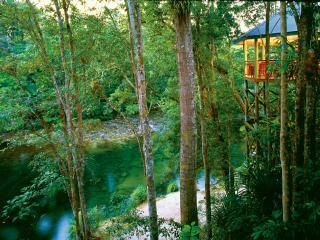 Jungle Perch: Serving afternoon tea from a spectacular position above the Mossman River with views of the rainforest. Kubirri Room: Afternoon tea is served in a relaxed atmosphere with rainforest views. 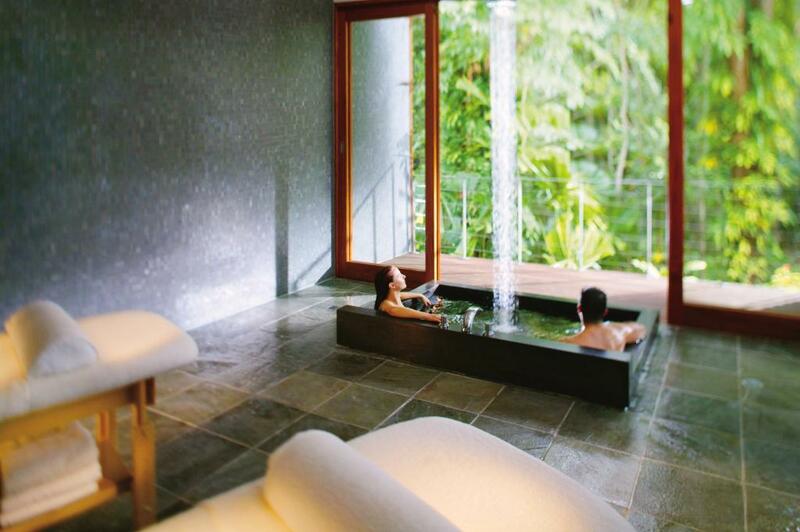 Healing Waters Spa: Is inspired by the ancient and sacred river and rainforest, the Spa reflects the mood and culture of the environment. Signature treatments are inspired by ancient indigenous wisdom, harnessing the power of native botanicals. 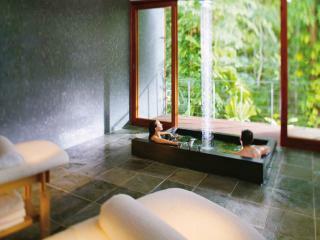 Choose a uniquely Australian treatment from the natural spa range from Sodashi. Reservations are essential and offered to those 16 years of age and over. 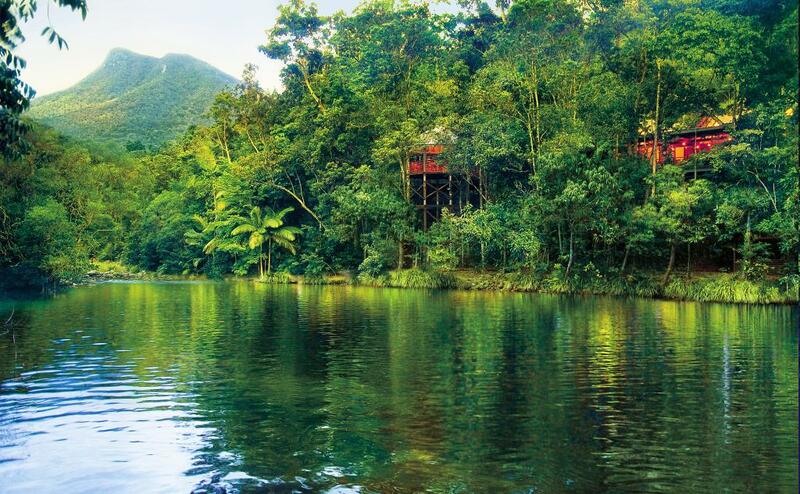 Daintree Escape: Stay 3 Nights & Save! 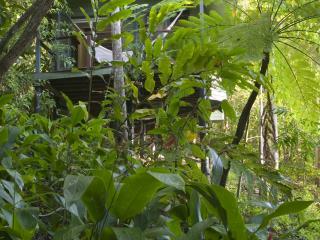 Getaway to the Daintree: 3 Night Reduced Rate!